Winter is upon us and that means the best time of the year to shop cozy knits, texturized fabrics, booties, and boots! Each season we see new trends, some crazy, some versatile, and some that are old made new again. I have rounded up my top 4 must-try trends this season, check them out! If you have been in any store in the past two weeks you know that the color burgundy is everywhere and on everything! While this is usually a fall season staple on pants and handbags we are seeing it where we don’t usually see it, on shoes! Use this color as a fall neutral and rock it on a pair of boots or cute pumps. Don’t think the flannel type plaid (which is everywhere as well), but think school girl plaid! We are throwing this print on everything right now from tops, to oversized blazers, to leggings. This look is a great way to work “trendy” into your work wardrobe. Pair a plaid blazer with a solid top underneath with your favorite black work trousers or grab a solid black blazer and pair it with a plaid top underneath. Shimmer and shake with this trend! Not your everyday look, but great for events and the holiday season coming up. Depending on how daring you are fashion wise you can go all the way with a full jumpsuit or keep it understated on a shoe or clutch for a fun pop against any solid color outfit. Throwing it back to the 80’s with shiny faux or real leather in any form! Long leather trenches are huge right now along with leather pants. 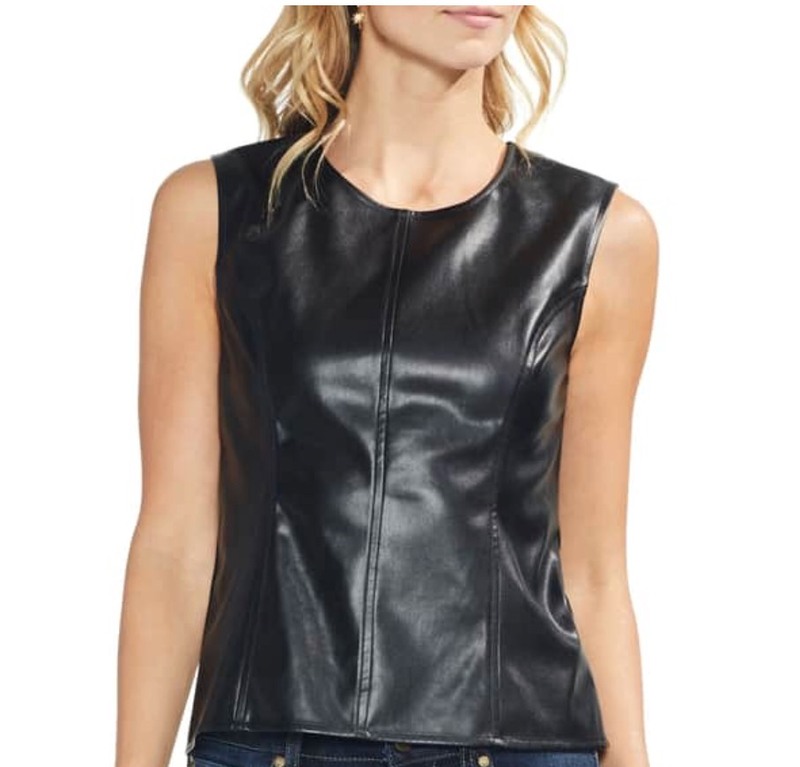 If all of that is too much leather in one place for you, try it on a top that can be paired under a jacket or blazer with a skirt for work or on a pair of leggings with a long cozy and chunky sweater with a pair of booties for the weekend!